The Mindray DP-6600 brings users a high-performance black and white imaging solution, packed with useful features for a wide variety of clinical applications, all in a portable package. 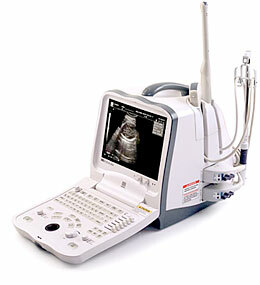 Weighing less than 25 pounds, it’s easy to bring the DP-6600 ultrasound with you, wherever you go. As such, this machine is certainly beneficial for point-of-care and emergency situations. In terms of the DP-6600 ultrasound’s imagine, this portable system adopts advanced digital beam-forming (DBF) and tissue specialty imaging (TSI) technologies, both of which are designed to dramatically improve image quality for increased accuracy and diagnostic confidence. Additionally, the DP-6600 ultrasound has broadband and multi-frequency transducers that let the DP-6600 adapt to a wider variety of clinical applications.